PRG well understands the political press is compelled to cover 24/7/365 the ongoing three-ring circus presently tented at 1600 Pennsylvania Avenue, Washington, DC. Nevertheless, PRG would like to remind the press a major story that nearly broke during the presidential campaign is being neglected. It regards a rather inconvenient truth about extraterrestrials - a story that hasn't gone away because they haven't gone away. One aspect of this story alone could have and should have generated a dozen hearings on Capitol Hill - nuclear weapons tampering. 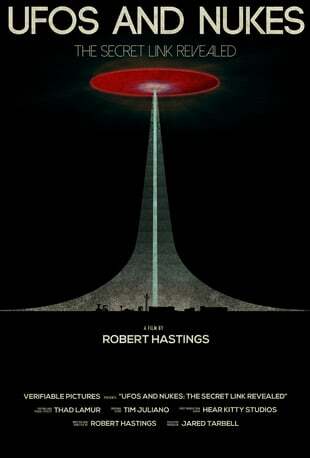 This issue is compactly presented in a recently released documentary UFOs and Nukes: The Secret Link Revealed based on the book by Robert Hastings UFOs and Nukes: Extraordinary Encounters at Nuclear Weapons Sites (2008). Military witnesses presented this information at a press conference at the National Press Club on September 27, 2010. It was live streamed by CNN. The political press did not follow up. Military witnesses presented this information again on April 29, 2013 at the Citizen Hearing on Disclosure at the National Press Club. The political press did not follow up. PRG invites all to watch this documentary and then ask a simple question: why HASN'T this information launched a dozen congressional hearings? The Fourth Estate has yet to fully and properly engage the biggest news story in history - one, believe it or not, that is much, much bigger than the one now in town. Way bigger. Huge.